You won’t find Terry Lankford and his son Austin sitting behind a table at a local craft fair selling their artisanal leather goods. Nor do the Lankfords keep a retail storefront or Etsy shop. They don’t need to. 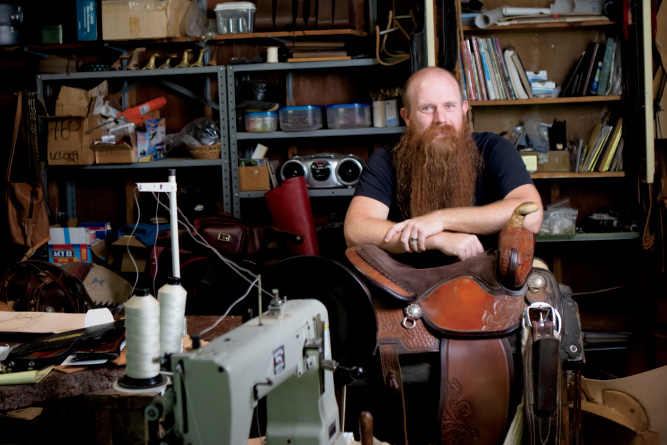 That’s because Lankford Made leather is designed for a different clientele, the sort that seeks them out by word of mouth for singular custom saddles, decorative art and specialty pieces. 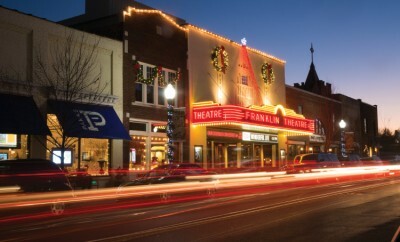 In fact, one has to be a bit determined even to find their small workshop tucked away in the backyard of Terry’s unassuming home in a quiet Franklin, Tennessee, subdivision. But for fans of Lankford Made leather goods (among them such notables as Marty Stuart, Waylon Jennings and Johnny Cash), tracking them down is worth the effort. 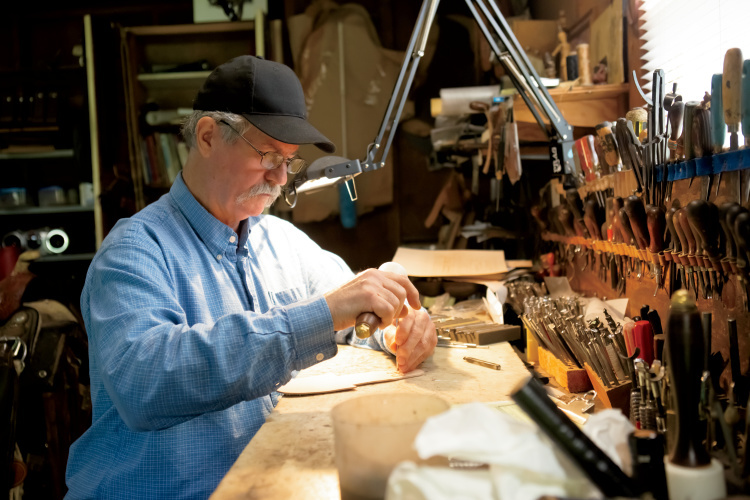 Lankford saddles are 100 percent custom-designed and handcrafted. Typically, clients are experienced riders who know what they want in a saddle, and it’s not unheard of for them to bring along their horses for fittings. 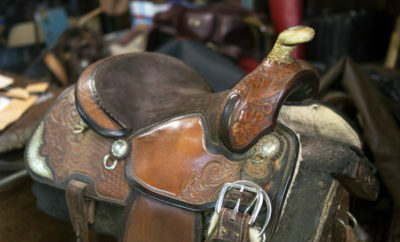 A custom saddle is a serious investment, and Lankford saddles are made to be both beautiful and durable. 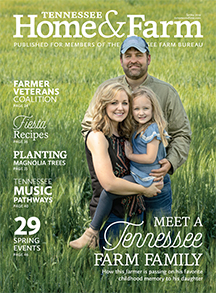 “You have to think in terms of 20 or 30 years from now,” says Terry, a Williamson County Farm Bureau member. 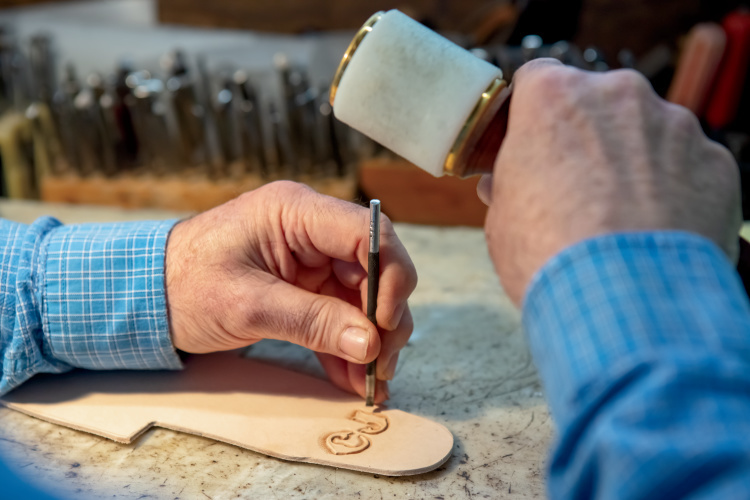 For the Lankfords, that means building the saddles on the best trees (the saddle skeleton or chassis) made of wood or fiberglass, hand-cutting the highest-quality leather and hand-stitching that leather in hard-to-reach spots and places that will get lots of wear. Custom decorative work, often created in collaboration with the client, is also done by hand, in some cases with specialized tools the Lankfords have made for a particular project. The artisans don’t use design catalogs and templates, they draw the images and patterns themselves. They also mix their own stains, creating unique colors. Depending on the overall design, each saddle can take three to four months to complete. 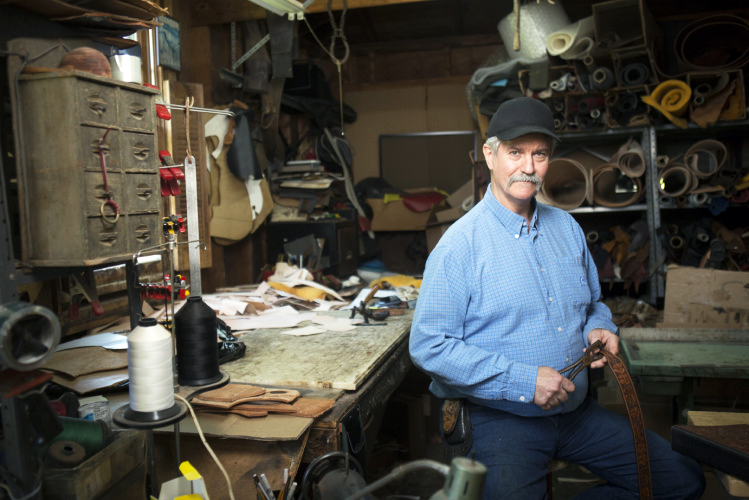 Terry got into the leather business as a teen through his interest in rodeo. He began making chaps from original designs for a few rodeo friends in the 1970s, and his reputation and business grew, mostly by referrals. Austin joined his dad in the shop about six years ago, after a long and exhausting career in the concert sound production business. In addition to learning leather crafting from Terry, Austin created the Lankford Made website and handles communications for the business. The Lankfords aren’t just saddlers. 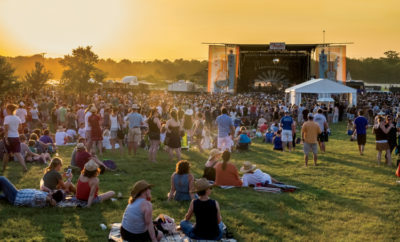 Their many other creations include, well, just about anything that can be made from or covered in leather – cabinets, furniture, tour bus interiors, notebooks, belts, pool cue and gun cases, costume pieces, even guitars. In fact, their leather-covered Fender guitars got the attention of collectors’ forums online, and the Lankfords have heard that some of these works of art, which had passed through the hands of famous musicians, have since sold to other famous musicians for nearly six figures. Many Lankford pieces can be found in the homes (and tour buses) of Nashville country artists and in the dressing rooms of the Ryman Auditorium. Asked about a favorite piece, Austin rummages among the tool benches and rolls of leather to pull out a box containing a curiously small black leather cap with white leather steer horns attached. “These were made for Lenore Rowe,” he says. Lenore and her husband Bobby Rowe were well-known rodeo performers and producers, especially around the Southeast during the last half of the 20th century. “She had a matador act she sometimes did in between events,” Austin explains, smiling. The caps, he says, were worn by her small posse of Boston terriers, who played the bulls. “It’s really about the creative challenges,” Austin says. Terry nods in agreement. “We go outside the usual parameters,” he adds.